Today, we’ll take a look at our explosive use of these devices and what smart device hacking and prevention means to us in a practical sense. Growth and Challenges of Smartphone Technology and Smartphone Security Tips. Convenience and mobility have become requirements as part of our increased use of smart devices, such as smartphones and tablets. Our use of these devices to browse the internet and use online services and apps has exponentially increased, with access available wherever and whenever. 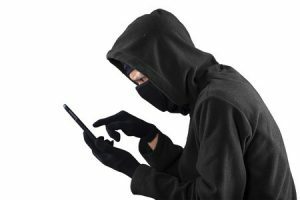 This convenience factor, married with our hunger for instantaneous access to data and entertainment has created a new security concern as smart device hacking is becoming the new approach to data theft. We’ve all done it. We’re at a public location, connect to a free WiFi service and continue along our day, happily surfing the web. But do we consider that this WiFi service may actually be a hoax, setup by someone hosting it from their nearby computer for the purpose of spoofing unaware users into connecting? In this “60 Minutes” trailer, they review the vulnerabilities of doing just that. One item of interest: say you connect to a trusted WiFi network that may or may not require a password; something common like “Starbucks”. Then you go somewhere where there is no Starbucks but someone sets up a Spoofing WiFi with the same name that does not require a password. If that WiFi on your phone from the trusted Starbucks is set to automatically connect (which it probably is by default), guess what? Without knowing it, your phone is now connected to the spoofed WiFi. But, also take into serious consideration that “trusted free hotspots” offered by most cafes, pubs and restaurants today, are not encrypted. This means that your data is broadcasted out and available for someone within reception, and with the right tool, to monitor, intercept, read and download your information. I don’t want to confuse this WiFi connectivity security issue with accessing secure websites, such as e-commerce sites that use security certificates (IE. https://). These specific point-to-point connections are encrypted but other WiFi traffic from your device and the WiFi device itself are not protected and may still be open for prying eyes. In this article by Ali Raza for the website Hackread, Ali reports on a planned hack of US Democrat Representative Ted Lieu, California. He is a member of the House Oversight and Reform SubCommittee on Information Technology. It’s pretty startling to even Rep. Lieu that the hackers were able to gain access to his data and record conversations with only the phone number of his device. The reminder here for everyone is to keep their operating systems current with all security updates; do not download or install questionable apps; and be wary of free public internet services. This goes for ALL electronic devices. To reinforce this security concept, check out this article on smartphone safety from The Guardian. They offer additional tidbits and product suggestions to help secure your device and data. In conclusion, data security will continue to be a cat and mouse game. Security updates are typically provided to fix previously unknown vulnerabilities that would allow an intruder to gain access. Ignoring the fact that there are relatively easy ways for one to gain access to an unprotected device will only result in problems. Just remember again how much information your phone or tablet has access to and take the respective precautions necessary to keep intruders out.